Which New York Pass is right for you? 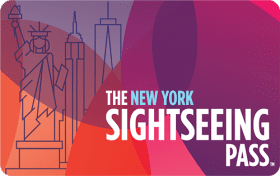 There are currently more than 7 sightseeing passes for New York City. The choice can be quite overwhelming, which is why we have created the test below. 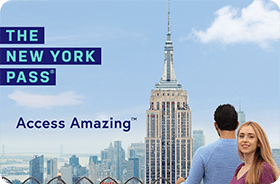 As most of the sightseeing passes for NYC have a list of over 90 included attractions it can be difficult at times to compare them properly – with this test, that is no longer the case. The test will calculate which pass can save you the most money when visiting the attractions that you want to see! How many people do you need a pass for? Based on the attractions you selected, you won’t save money with any of the passes. However, you’re in luck! There is another pass: the “GO Select Card New York”. This card allows you to compile your own pass, which will save you money and include all of your favorite attractions. Our test compares how much you would spend if you purchased each attraction ticket separately, to the price of the different New York sightseeing passes. It will always show you the cheapest way to visit the attractions you selected, even if this means buying a smaller attraction pass and purchasing some of the attraction tickets separately. 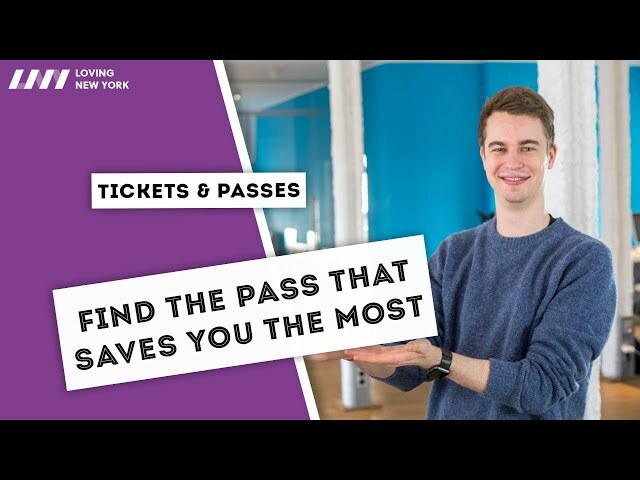 For more on how the pass advisor works, check out the video below! 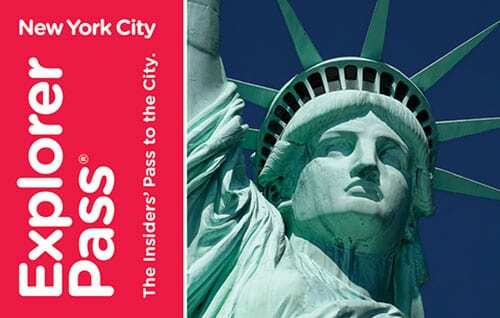 How to find the right New Sightseeing Pass for New York? Choosing a Sightseeing Pass option for New York is not so easy. That’s why we have created a step-by-step way for you to find out which pass can save you the most money. Some aspects of your trip directly influence the choice of your pass so make sure to ask yourself the questions below before you purchase your pass. The more attractions you visit, the more expensive your NYC attraction pass will be. However, there are a few tricks for you to visit more attractions in New York without spending a lot more. As a rule, tourist passes help you save around 30% compared to buying tickets separately for NYC attractions. Depending on the length of your stay, some passes are more relevant than others. While some passes are valid for only a few days, others can be used on non-consecutive days over the span of 30 days. It is therefore important you also ask yourself the question how you want to use your NYC sightseeing pass during your trip. Before you choose a NYC attraction pass, you need to decide which of the two graphics below appeals to your style of sightseeing the most. Do you want to visit 3-4 attractions per day on consecutive days, or do you want to be able to skip a day in between and visit attractions in a more relaxed way? If you are more of a TYPE 1 traveler, the attraction passes sold by the number of days will be best for you and allow you to save the most money. If you are more of a TYPE 2 traveler, you will prefer the sightseeing passes which are sold by the number of attractions you wish to visit. Check out the list below to see which passes match your type. How many attractions do you want to visit? Be realistic in choosing the number of attractions you want to visit on your trip to New York City. You are unlikely to be able to visit 5 attractions in one day. If you want to experience as much as possible in a short amount of time, plan around 3-4 attractions per day. If you are a person who prefers to take their time and plan around 1-2 per day. Don’t forget to only count the number of full days you will be in New York City. Exclude your date of arrival and departure from your planning as on these days it will be hard to visit any attractions unless you are arriving very early in the morning. What time of year will you be visiting NYC? Adapt the use of your tourist pass according to the time of year you visit New York. If you go to New York between April and September, then be sure to make use of the many included outdoor activities in the passes. From bike rentals in Central Park and the Brooklyn Bridge to walking tours and various cruises, there is sure to be something included that excites you. 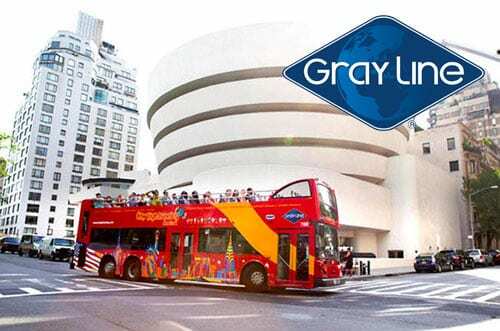 If you are planning to visit New York City between the months of November and March, then consider indoor activities such as museums or bus tours. You can also visit the tallest enclosed observation deck of NYC & of the Western Hemisphere: the One World Observatory. Which passes include the famous hop-on hop-off bus tours? The hop-on hop-off bus tours are a great way to experience NYC and gain a good impression of the different parts of town. Most of the passes include some form of a hop-on hop-off bus tour due to the popularity of the tour, however, it can be confusing for how long and which routes. Check out the list below to make sure that the pass you have chosen includes your desired length of the hop-on hop-off NYC bus tours. How much does a NYC attraction pass cost?